In the 1990's children used words like crunk, wazzzzzap, and phat to describe things, They wore oversized sweaters, leggings, bell-bottom jeans, Birkenstocks, turtlenecks and white Keds, The cool kids wore teeny tiny shades, stainless steel chokers, smiley face earrings and had virtual pets. If you did not have a virtual pet you were frowned upon and you would feel left out as children celebrated their pets 10th day of being alive. Showing off your pet's new metamorphized stage. A virtual pet is a digital pet in a mini handheld computer egg. You have to keep it alive by feeding it, playing with it and cleaning up after it. The egg-shaped computer came in many colors and looked more like a keychain much like the newer versions we have today. Virtual pets have been around since 1995 and still is very popular today. 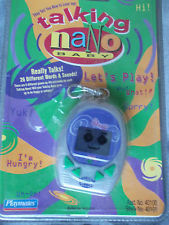 Tamagotchi mania started in 1997 in Japan by Akihiro Yokoi and lasted until 2010. More than 82 million were sold worldwide and they still sold today. Tamagotchi is a Japanese word for "egg" and "watch," and they come from the planet named Tama. For those who do not know what a Tamagotchi is, it is a digital pet in an egg-shaped computer that fits in the palm of your hand. The pets appeared as black line drawings that moved across the screen. The pet also ages and grows up if it is well looked after. Once your pet hatches it has to be kept alive by feeding, playing and grooming it. Should you neglect your pet and not feed, play or groom it, the pet dies. When the craze hit the world, parents were left to look after the pets while the children were at school. Different games were played with the pet to keep it happy such as deciding if your pet would pick a number that is lower or higher than the number on the screen. The pet can get sick if you do not pick up its droppings, Too much food or snacks could make them ill, medicine then has to be administered and they are healthy once again. Once your pet dies, you have to press the reset button to start the whole process over again. Unlike the games today, there is no pause button so you have to keep an eye on your pet if you want it to be healthy and evolve to next stage. 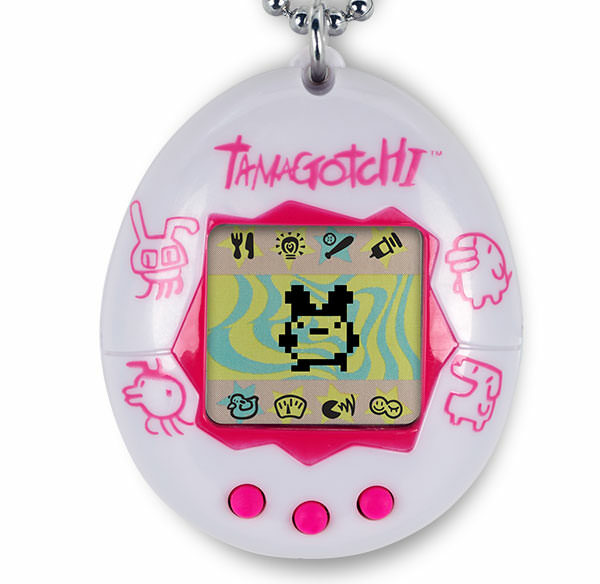 Today Tamagotchis can have their own families, with the newer versions of the handheld toy. The female lays two eggs, one for mommy and one for the partner respectively. 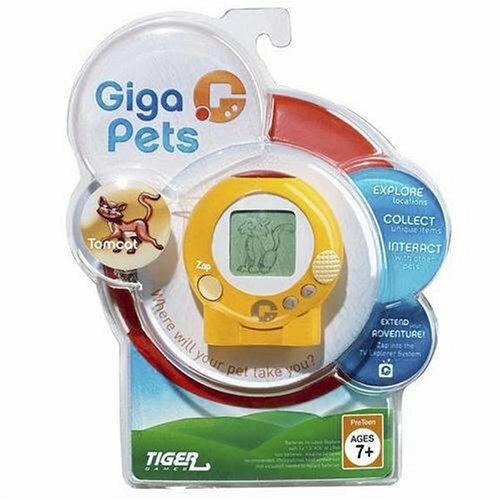 Like Tamagotchis, Giga Pets are about raising a pet, but Giga Pets had different animals like the T-Rex, Monkey, Critter, and Alien. To keep T-Rex happy he has to hunt small rodents, the cat chases a small mouse, the Alien likes to levitate objects. Other than the animals there is no real difference in the game. It was released in 1997. Roger Shiffman, who is known for Furby, another interactive pet, was the driving force behind Giga Pets. 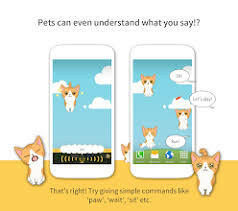 Top Secret Toys relaunched the pet in August 2018, with a phone app. Image Source: The Tamagotchi Ocean! Playmates released their virtual pets in 1997 with the pets being able to say 26 words, phrases or sounds. It had a 12-hour clock with AM and PM symbols, One of the mini-games are to catch the falling candy in your pet's mouth. After 10 days your little unit says "Your Nano grows up and gets own couch." The game is over. 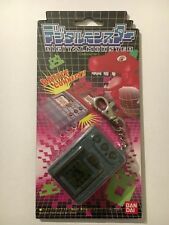 This is a digital monster and is the equivalent to the masculine Tamagotchi and was more of a fighting pet. It too was released in 1997 and 14 million were sold worldwide. Meat is fed to the monster to increase its energy and strength. Its evolution stages were expanded to 6 stages and you were able to raise a second Digimon. You have the basic pet care, training, and battles to tend to. Today we have virtual pet apps for Android like Cthulhu a cosmic entity. It too has to be raised from a baby to adulthood by feeding, cleaning, playing and putting them to bed. It has 5 mini-games to play with Cthulhu, like sinking some ships or to destroy cities. You feed Cthulhu reptiles, fish, or humans, What you feed him affect his weight. Is slightly different as your pet tends to run all over your phone and you see it while scrolling on your phone. You collect hearts when playing the mini-games and they will tell you when your battery needs recharging, the weather or even the time. You are able to interact with them as they run across your screen. Virtual pets were banned in many schools as they were a distraction in class. Teachers complained about the beeping sounds and that the children were not concentrating as they were worried about their pets. Unlike the older virtual pets, your child will not be banned from having a pet at school, but parents might get worried that their children can become too attached to their pets. Virtual pets can teach children about caring for pets, however, your child could spend too much time on the game. It does serve as a great learning tool, just make sure that there is balance in your child's life. These virtual pets are just as popular today as they were back then, but the fad of having one has blown over. It was the 'bangin' of times, and 'props' to the inventors of the virtual pet. If you did not understand a word I said, go get a virtual pet and the 90's spirit will surround you. You just might end up saying "This gadget is 'pimpin’".